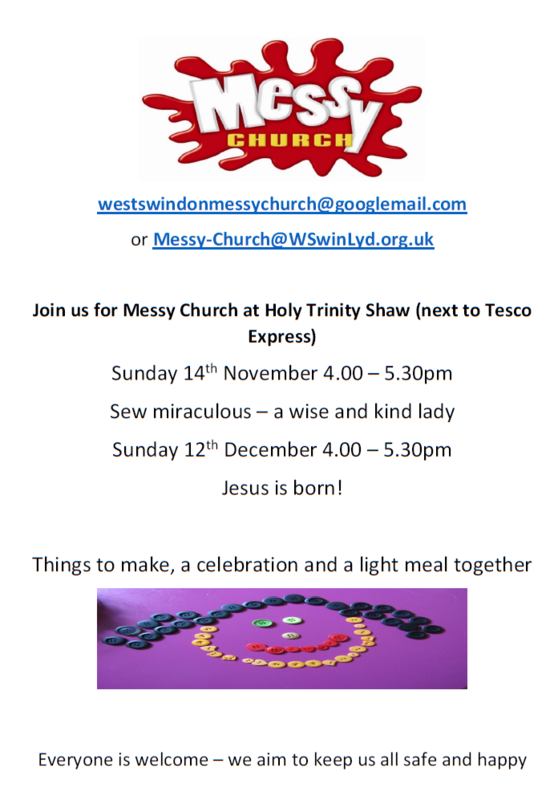 Messy church is an opportunity for all the family to enjoy being creative together, to celebrate God through craft activities, stories and song and to share a light meal together. Above all to have fun. Second Sunday of each month (except August) Holy Trinity Church, Shaw.